Constructed in 1987, the GEOLIDE wastewater purification plant treats up to 220,000 m3 of wastewater per day (86 million m3 per year) for the city of Marseille (population 1,860,000) and 16 towns in the surrounding area. The plant has been operated since 2001 by Seramm, which is a subsidiary of the French water supply and wastewater treatment company Lyonnaise des Eaux. Although located in the Marseilles city center, the GEOLIDE wastewater purification plant has minimal impact on the surrounding area as it is built almost entirely underground and releases none of the objectionable odors that are normally associated with facilities of this type. Originally configured to provide just primary water treatment using physical and chemical processes, the GEOLIDE plant was revamped in 2008 to provide advanced biological treatment processes. Water treated by this facility is discharged into the sea, and sludge is transported 6 km to the Cayolle treatment plant. As part of the revamping process that was completed in 2008, Yokogawa France was asked to upgrade the GEOLIDE plant's existing Yokogawa CENTUM V production control system (PCS) to the CENTUM CS3000 PCS and to install the Exaquantum plant information management system (PIMS). This work was carried out in collaboration with Veolia Environnement and Suez Environnement. The GEOLIDE plant treats and purifies wastewater from households and industry in the greater Marseille area so that it can be safely released into the natural environment. The plant operates 24/7 throughout the year. The plant's primary treatment process removes solid contaminants that are suspended in the wastewater. The wastewater is filtered to remove large waste particles, then is sent to basins for grit removal and oil skimming. Sand and grit are removed from the bottom of the grit chamber and washed. Fat and grease float to the surface and are skimmed off, then sent to a biological treatment center for digestion. The water is subsequently left to settle in a pre-clarifier. Suspended solids fell to the bottom and form primary sludge, which is subsequently sent to the Cayolle treatment plant. The secondary treatment process relies on biological processes to eliminate contaminants that are dissolved in the water. The water passes through trickling filters that are coated with a film of bacteria, which digest the dissolved contaminants. The purified effluent is released into the sea, and the trickling filter sludge is sent to the Cayolle treatment plant. Many different motors and pumps are used in these processes, and their operation is automatically controlled using the sequence function of the CENTUM CS3000 PCS. 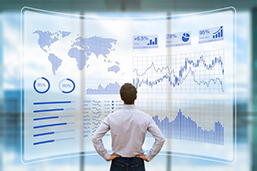 All the process I/Os are connected to the CENTUM CS3000 field control stations (FCSs), and the signals are accessed by a variety of function blocks that execute monitoring and control functions. 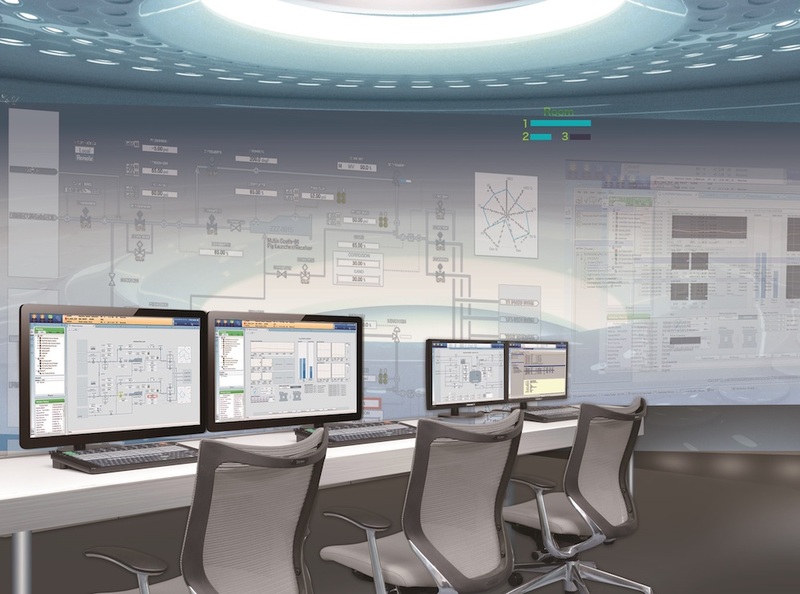 Sitting at their human interface stations, operators have real-time access to data on operations throughout the plant on screens that show process trend graphs for selected time intervals, data on up to eight control loops, detailed parameter settings for individual loops, and guidance messages. Such data is also transferred to the Exaquantum process information management system for reporting and data analysis. The visualization of all data on items such as motor and pump operating time and chemical consumption amount allows operators to optimize key operation items. The water released into the sea from the GEOLIDE plant surpasses all relevant European regulatory standards. Bruno Triboulet, Seramm director: "This wastewater treatment plant operates year-round. To lessen its impact on the environment, we have to carefully manage the quality of the water that is discharged into the sea. We have been using a Yokogawa control system since 1987 and are very happy with its high reliability. We have had no major system problems to date." Mickael Chaptal, Seramm maintenance manager: "We are long-time users of Yokogawa's CENTUM system, and our upgrade to the new version was problem-free. Using the configuration menus at the engineering workstation, it is very easy to modify control strategies. We can quickly change the configuration and immediately put it into operation. We are very comfortable using Yokogawa's system."